Arguably the best and most feature-filled entry in the Metal Slug franchise, Metal Slug 3 was the last series entry developed by creator Nazca, prior to SNK's collapse and sale to current IP owner Playmore. 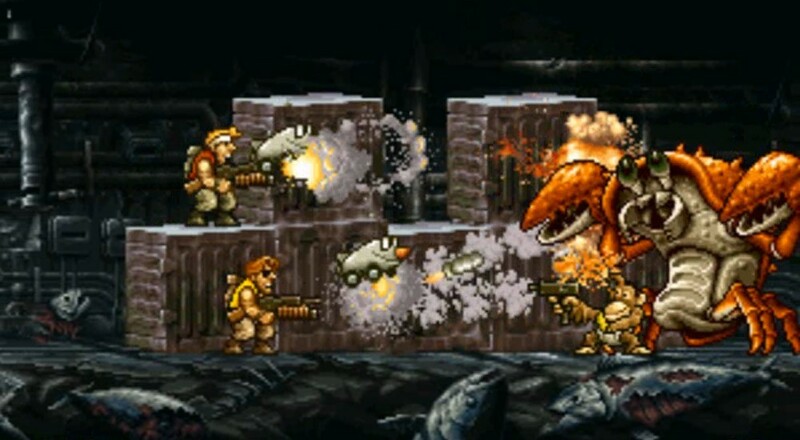 Built off the success of its predecessors, Metal Slug 3 packs a ridiculous amount of content, boasting four selectable characters, a destructive arsenal of weapons and mechanized mounts, numerous secrets and hidden areas, and a memorable final stage that's longer than all of the game's previous levels combined. Metal Slug 3 premieres as part of PSN's ongoing Spring Fever 2015 promotion, and will arrive as a Cross-Buy title for the PlayStation 4, PS3, and PS Vita tomorrow with all of its side-scrolling co-op action fully intact. The game will be available for $14.99, and PlayStation Plus members will be able to pick it up during its launch week for $13.49. Metal Slug 3 is also available for the Xbox 360 via Xbox Live Arcade. A Steam version launched last year. Like the Steam edition, the PSN version of Metal Slug 3 will support online multiplayer in addition to local co-op. Page created in 0.7414 seconds.